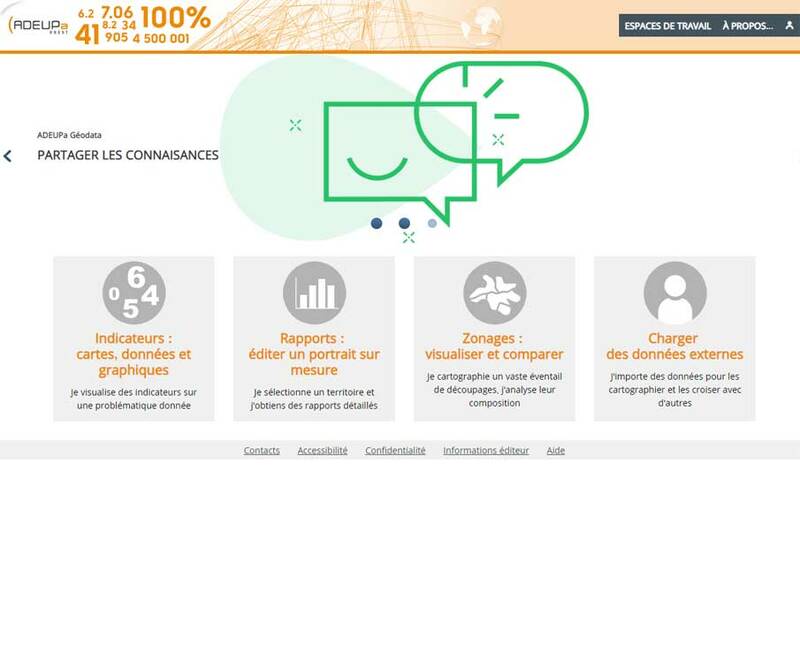 ADEUPa, Brest's urban planning agency, has among its missions to observe and analyse the socio-economic dynamics at work in the territories of western Brittany. 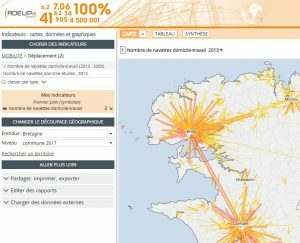 To this end, it manages several observatories and has been publishing since 2011 an interactive mapping application based on Géoclip, called GéoData. After the transition to Géoclip O3 in 2014, the latter has just evolved to Géoclip Air. 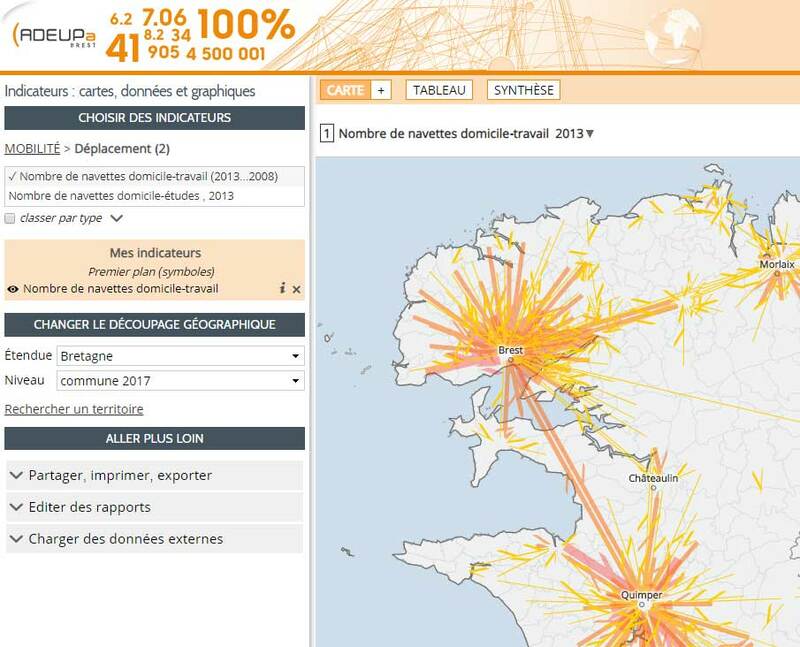 This GeoData atlas fully exploits the possibilities offered for geographical views: several areas, from the city of Brest to the whole of Brittany and several geographical levels, iris, communes, epci, employment areas. This allows data to be mapped at different levels of detail.